Do you have any Questions for Elite Locksmiths? Feel free to ask our crew about any service or subject you want and interesting to know. Our Team is ready to hear from you any time & always . First and foremost, don’t panic! Remember that Locksmith offers 24/7 365 day availability with a 20 minute guaranteed response time. We’ll be there to help you with fast and courteous service any time you need us. We suggest that you place our contact number 800.977.2308 on your cell and house phone’s speed dial. This way, you can contact us in the shortest time possible. Elite Locksmiths can provide you assistance, even if you have a lost or damaged auto, office or residential key. If your lock is damaged or broken – still, no problem! No. 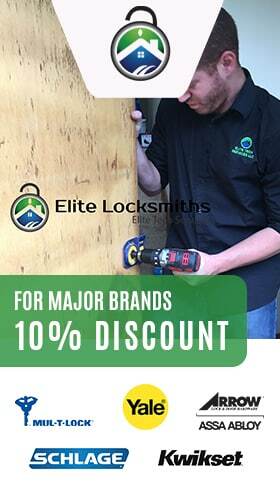 Elite Locksmiths deals with emergency needs, as part of our main business. We make sure to offer our customers competitive rates, which has helped us build a 40-year family-owned business. What types of residential lock services does Elite Locksmiths provide? Elite Locksmiths provides; home lock out service, broken key extraction, stuck keys, door and window lock installation and repair and other home security issues. Elite Locksmiths can work with any type of home lock, to include; mortise, deadbolts, knob locks, lever handle, cam locks, wall mounted, euro profile, interchangeable core cylinders, jimmy proof deadbolts, rim latch, key in knob cylinders, vending T-handle, furniture locks and other types of home locks. Can Elite Locksmiths also work with safes? Elite Locksmiths can work with all types of home safes, of any size. Combination locks are no problem. What types of commercial locksmith services does Elite Locksmiths provide? Elite are known for providing world-class locksmith services, which include; commercial lock installation, restricted and managed key systems, any type of electronic lock servicing. Why choose Elite Locksmiths for your office and other business needs? One of Elite Locksmiths’s primary goals is to provide the best in courteous, reliable and speedy service. We make sure that your office service is completed with a minimum of interruption to your daily business activities. As a 24/7 operation, we can schedule your appointment at any time of the day or night, to further eliminate any delays in your work schedule. Does Elite Locksmiths charge a lot for commercial services? No. Elite Locksmiths is known for offering competitive pricing to all of our clients. This has allowed us to build a database of return commercial clientele. Call us for a free estimate and check out our pricing. Elite Locksmiths is licensed for your protection. In addition, our 40-year family business is a far better solution to any locksmith company that outsources their calls to independent locksmiths.